Being the first group to perform gave the Juke Box Dancers the opportunity to sets the tone with a series of high kicks. The Rockettes are a precision dance company performing out of the Radio City Music Hall in Manhattan, New York City. 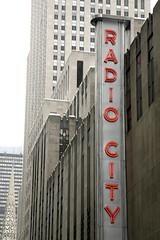 During the Christmas season, the Rockettes have performed five shows a day, seven days a week, for 77 years. Perhaps their best-known routine is an eye-high leg kick in perfect unison in a chorus line, which they include at the end of every performance. Recovered artifacts bear witness to lives and buildings lost on September 11, 2001. If every object tells a story, the ones displayed here speak of thousands with a common ending: a Georgia man whose wife slipped him a love note 1 for his trip to New York City; a woman with prayer beads 2 at work on the 98th fl oor of the World Trade Center; a husband who always carried a two-dollar bill 3 to remind him how lucky he was to have met his second wife. Collected for the National September 11 Memorial & Museum, the objects tell of love, faith (Bible pages fused to metal 4), lifestyles (a Mercedes key 5 and a golf ball 6), and a workday (computer keyboard 7) that came to a tragic end in 2001. The museum, set to open in September 2012, has some 3,000 artifacts so far, hundreds of them bestowed by relatives of those who perished. A ladies’ shoe 8 is one of several objects here that belong to survivors. The four-inch heels carried their owner down 62 fl oors, away from the crumbling south tower, and across the Manhattan Bridge to safety. The cabbie has been here 25 years.